Hut-to-hut walks can be hard, sweaty going. So it's best to travel with a light pack and the minimal amount of kit. The Astro 30 Rucksack ticks all the boxes. 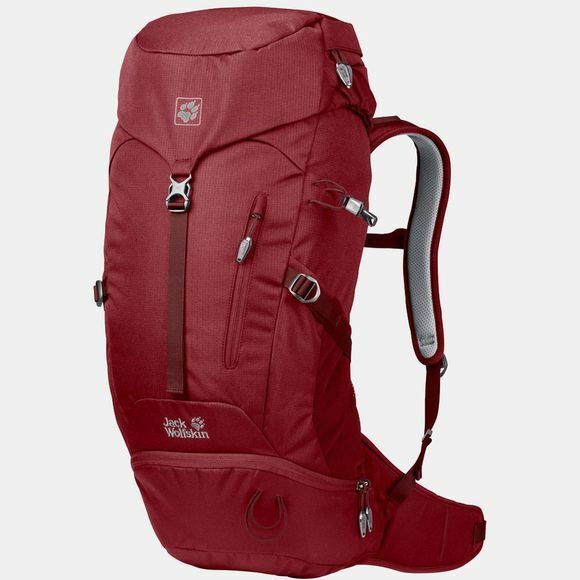 This simple hiking pack is reduced to the basics in terms of features and design, and the ventilation is extremely good. The Astro 30 Rucksack is the largest model in our Astro/Helix series. These packs have a minimalist design but have everything you need for the trail. They have a sporty, slim shape and, thanks to the ACS back system, they are very agile and well ventilated. The design is complemented by the matt-look fabric. When you are hiking fast on flat trails, up and down hills or in very warm weather, and the going gets sweaty, the packs in our ACS series keep you comfortable and dry. The only contact point with your back is the air permeable mesh, and there is a gap between it and the body of the pack. This allows fresh air to circulate.